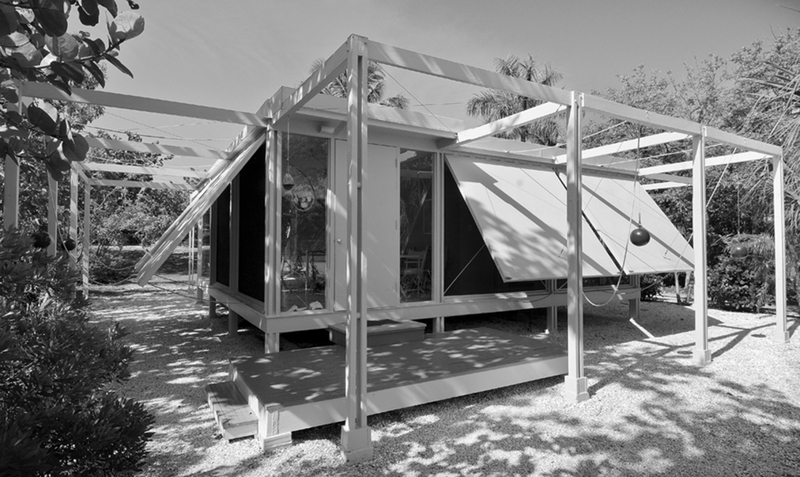 Paul Rudolph’s famous Walker Guest House in southern Florida is now on the market. The glass-clad, International-style structure is situated on a 1.6-acre lot on Sanibel Island facing the Gulf of Mexico. 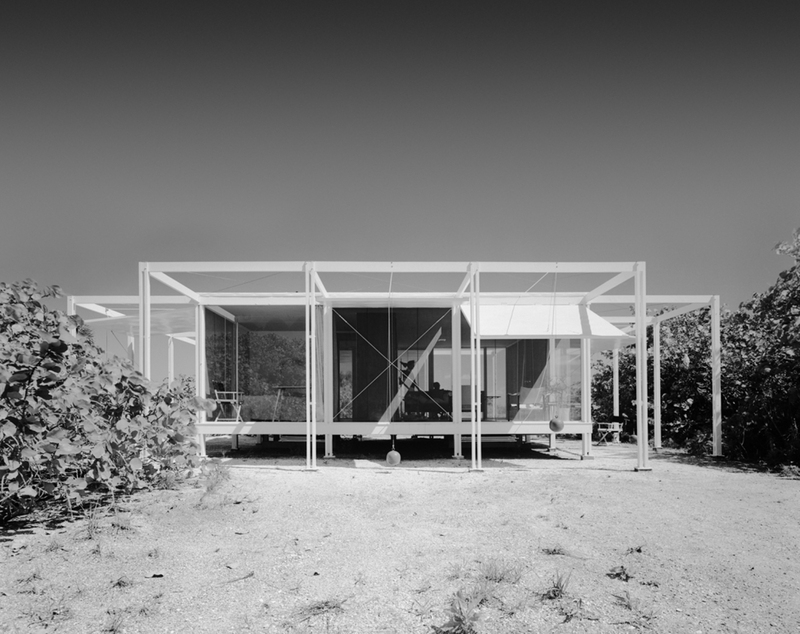 Completed in 1952, the building was Rudolph’s first solo project after splitting from his early-career design partner Ralph Twitchell. 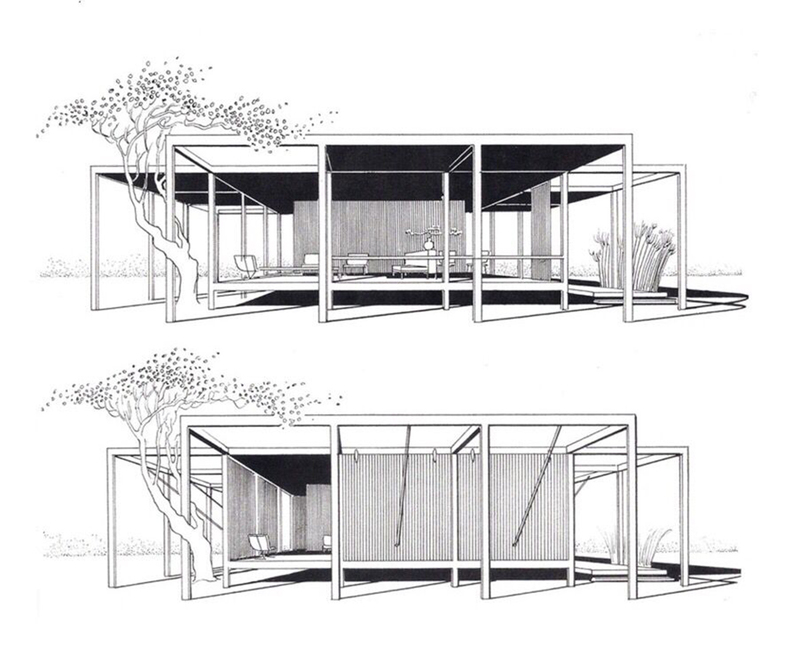 Ruldoph designed the accessory dwelling unit at a time when Mies van der Rohe’s Farnsworth House in Illinois, as well as Philip Johnson’s Glass House in Connecticut, were receiving widespread acclaim. Both near-transparent residential projects, the low-to-the-ground, boxy buildings were masterful representations of mid-century modernist architecture, but the homeowners complained about a lack of privacy due to the floor-to-ceiling windows. Rudolph’s steel-framed structure, a beachfront backhouse, took this highly-lauded, light-filled design a step further and fixed the privacy problem. He added adjustable wood panels to several exterior walls that could shield residents from the harsh sun or outside activity when desired. Though a seemingly simple addition, these shades allowed the building to transform seamlessly from an open, 24-foot square pavilion to a cozy seaside cottage. The engineering behind this shutter system is quite unique. The house stands on an array of steel stilts that anchor it to the ground and serve as additional frames for the building. These frames connect weighted red cannonballs to the wooden shutters that enclose the structure; the home is famously nicknamed the “Cannonball House.” When raised, the ball shuts the shutter flaps and when lowered, it creates a canopy for outdoor shade. The Walker Guest House is valued at $6,795,000, which includes the main residence on site. It was designed on an 8-foot-by-8-foot cubic module and includes a living and dining area, a kitchen, a bathroom, and a bedroom.